I just opened a textbook for medical students from 1980s, doing a research on Hepatitis C. Here's the interesting thing: When looking for liver diseases, in particular Hepatitis, the table of content only lists Hepatitis A and Hepatitis B. Where is Hepatitis C? "There are some evidence that another virus (Hepatitis C?) is present in the liver." This is the quote about Hepatitis C from 1980s. About 30 years later, we found a very successful cure consisting of sofosbuvir, ledipasvir, daclatasvir and ribavirin treatment options, for a lethal disease. Let us have a look at a brief history of Hepatitis C.
It is almost impossible to know how long has Hepatitis C virus been around - we don't even have blood samples from lets say 50 years ago which could confirm the existence of HCV in 1960s. The nature of many viruses inclines us to a conclusion that Hepatitis C virus has been around for a very long time. In fact, a close relative of HCV called HGV/GBV-C originated in primates about 35 million years ago, according to some theories. Some scientist predict that the subforms of Hepatitis C (genotypes) originated about 500 years ago in West Africa. Nonetheless, the spread of disease hundreds of years ago was much slower than today. Hepatitis C is a transmitted via blood-to-blood contact, and 500 years ago there were no blood transfusions or needle injections which are the leading cause of Hepatitis C transmission in today's world. In 1960s and 1970s, scientists developed blood tests to identify hepatitis B (1963) and hepatitis A (1973), but many of the blood samples taken for post-transfusion illness tested negative for hepatitis A and hepatitis B. However, in addition to A and B, a virus in the liver was discovered. Because it was neither Hepatitis A or B virus, the newly discovered virus was named NANB Hepatitis. This stands for non-A non-B Hepatitis. Evidence suggest that more than 90% of patients diagnosed with NANB were actually Hepatitis C patients. The virus itself was identified in 1989. The discovery is credited to the investigators from the Centers for Disease Control. A year later, the screening of blood banks began but the method of Hepatitis C virus detection in blood used for transfusion was perfected in 1992. From that point on, only 1 blood bag out of 2 million is statistically infected with Hepatitis C.
However, prior to 1992, there was no way of detecting Hepatitis C in donated blood and it is speculated that about 1 blood bag out of 200 was infected by Hepatitis C. Due to these blood transfusion prior to 1992, an approximate 300,000 Americans were infected by Hepatitis C via transfusion. These include many war veterans. Particularly the generation of Baby Boomers were infected by receiving the Hepatitis C infected blood. 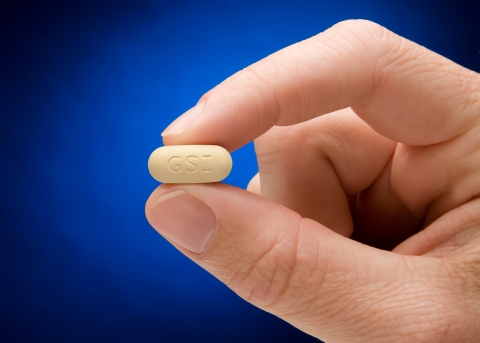 The first Hepatitis C treatment was actually discovered earlier than 1989. In 1957, scientist discovered a treatment that was used more than 50 years for Hepatitis treatment - interferon. 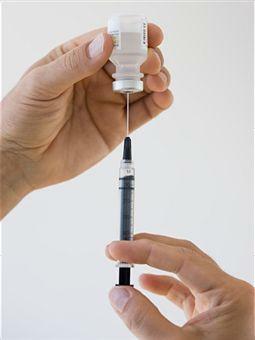 Primarily developed against Hepatitis A and B, it was also used to treat Hepatitis C patients. The general treatment protocol was to inject 3 million units of interferon, three times a week for 48 weeks. Sustained virological response rates (negative viral load 6 months post-treatment) were approximately 9% for genotype 1 and 30% for genotypes 2 and 3. Interferon name actually comes from its ability to 'interfere' with viral replication. The interference is not only useful against HCV but against other viruses as well. In 1998, FDA approved Rebetron - a treatment for Hepatitis C that included not only interferon but ribavirin antiviral drug molecule as well. This drastically increased the cure rate to about 30% for genotype 1 and 60% for genotype genotypes 2 and 3. However, the cure rate was only 50%. Compared to sofosbuvir-based regimen of today, interferon is a much inferior treatment and is likely not going to be used for Hepatitis C treatment anymore. During the following years, there has been some improvement in Hepatitis C treatment such as pegylated interferon and addition of some antiviral molecule to the regimen. However, the big breakthrough came with the DAA - direct acting antivirals such as sofosbuvir, ledipasvir and daclatasvir. 2012 was a year for DAAs. Several new Hepatitis C treatment candidates were very promising in Phase III clinical trials, yielding an outstanding 90-100% cure rates. Several pharmaceutical companies were involved in drugs development, each with its own DAA and regimen. In 2013, the FDA has approved the first modern Hepatitis C treatment and the golden age for Hepatitis C treatment discovery started. Here are all the drugs that were recently approved for treatment of various genotypes of chronic Hepatitis C.
Zepatier (elbasvir and grazoprevir) by Merck Co. The new antivirals have an overall cure rate of above 90%, with mild side effects over standard 12-week treatment. The problem and the reason why so much media is featuring the stories about Hepatitis C, is the price of the treatment. Not a single of drug above cost less than $50,000 in the US. Even US Senate became involved but the prices are still extremely high. Hepatitis C is a serious disease and HCV is a very resilient type of virus. However, it took our combined science less than 25 years to discover and develop the cure - with Sovaldi being approved by FDA in 2013, we finally got a formidable medication against HCV. With only the cost being the major problem, we do welcome you to contact us at FixHepC Buyers Club and we will help you get Hepatitis C medications for a very affordable price.